From Ambasing Elementary School, where the trail officially starts, my friend and I just followed the ascending concrete road which soon turns into a wide dirt path. 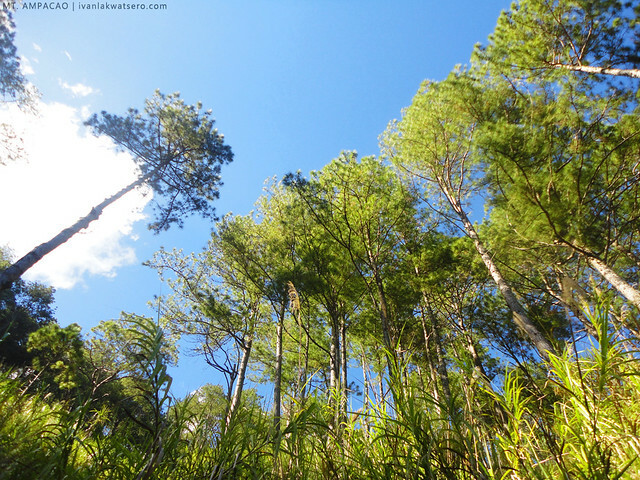 Of course, like most if not all of Cordillera mountains, the trail to Ampacao summit is lined with tall pine trees. Cool breeze along the trail also makes the trek a little refreshing. 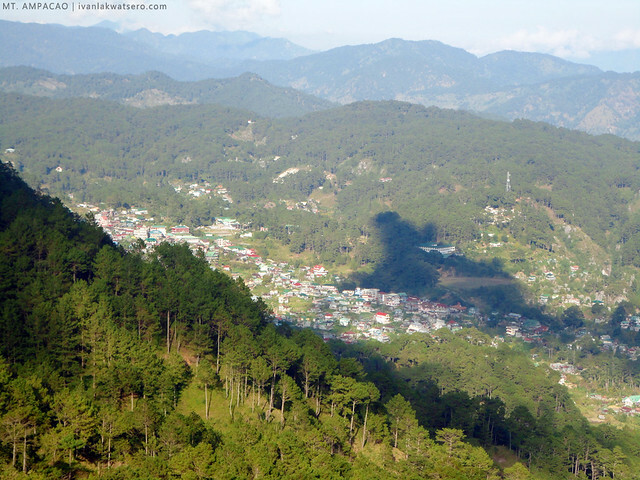 Terraces, as well as the town of Sagada are the scenery that will feed your eyes while trekking the lone trail. At a gentle pace with lots of photo-ops break, trekking time would take just about an hour up to the ranch of Mt. Ampacao. 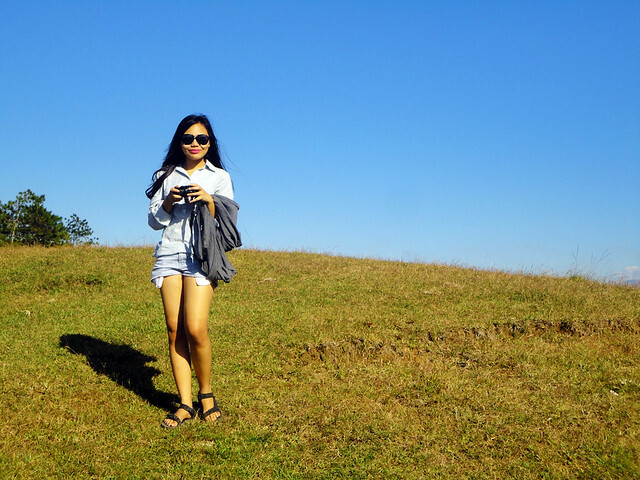 At the ranch, mapapakanta ka ng "the hills are alive with the sound of music". 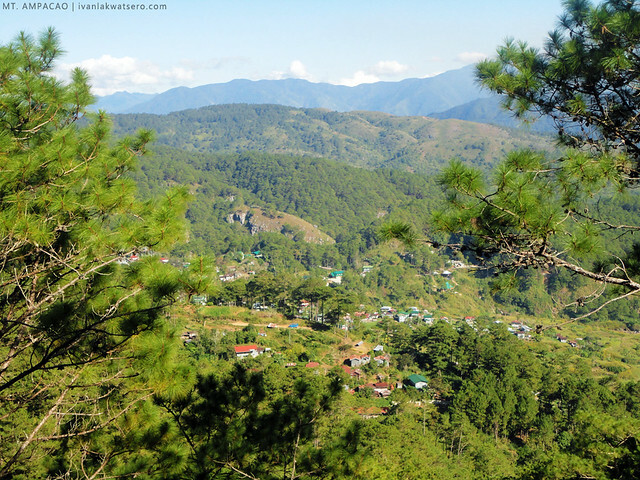 The view from there was already very nice, the whole town of Sagada, and several mountains of the Cordillera are still unknown to me. 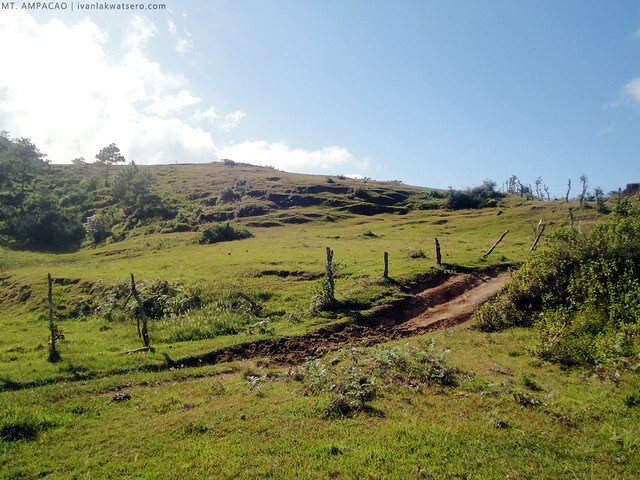 Ampacao Ranch, since it's a grazing area fro cattle, cattle-poop were all over. 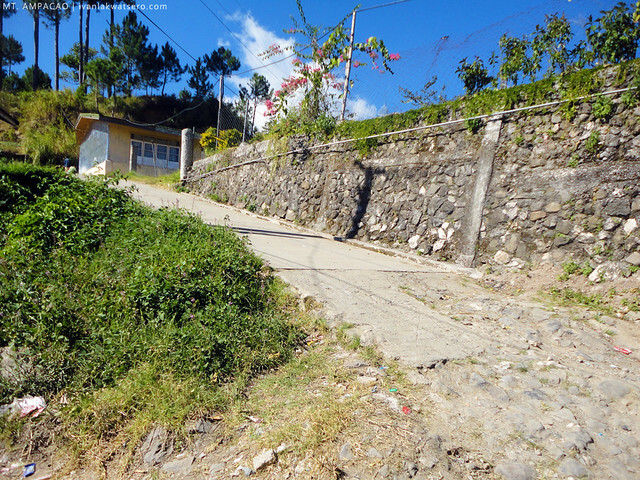 I was joined (or more appropriately, I dragged) in this climb by my old friend way back in highschool days. She's a total noob in hiking, but soon hopefully, I'll be able to convert her into a hiking monster. Mt. 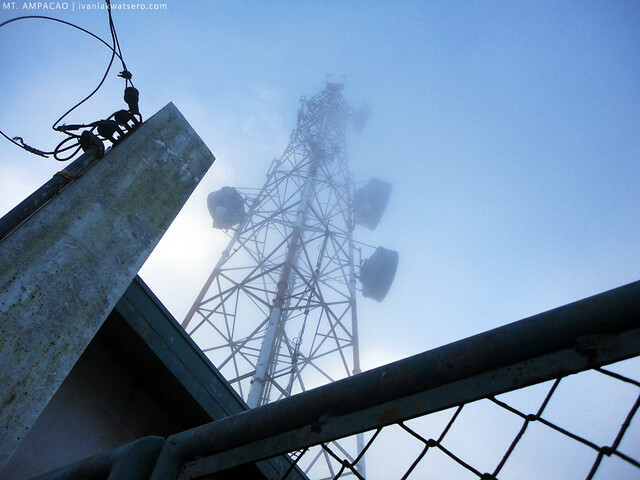 Ampacao's summit was my goal that day, but I can see from the ranch that it was now being engulfed by thick layers of fog. I wasted no time and rushed towards the trail to summit. However, there were a number of trail heads branching out from the main trail. If you don't have a guide with you, you'll surely have a hard time looking for the right trail, just like what happened to us. The first trail we entered was obvious and quite clean, but it led us not on the towered summit but on low peak with a view deck and several camp sites. The view there was awesome by the way. the ranch from the low peak. 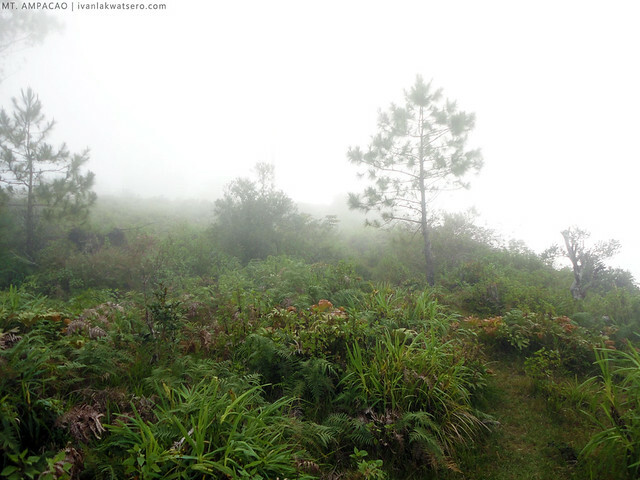 We soon descended that viewdeck and entered another trail (sinundan namin yung dalawang hikers na naka-sky runner get-up). 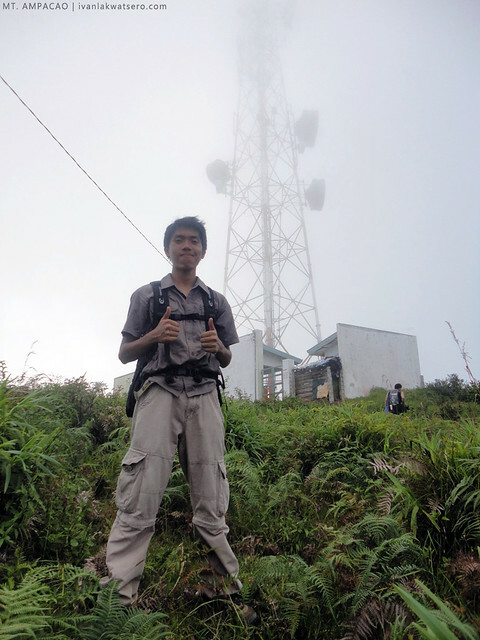 This time it's the right trail, took less than 20 minutes to reach the towers. Thick fog covered the entire summit, so clearly there was no summit view for us. to the left is the right trail to the towered summit. At first I was hesitant in taking this trail because it was being blocked by many branches. 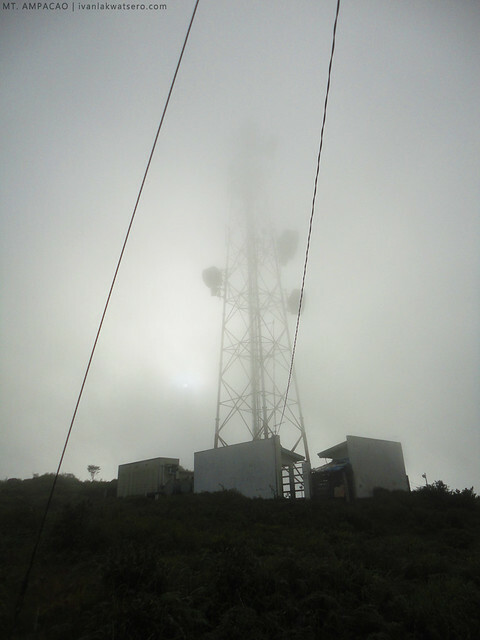 an awesome clearing was hopeless, thick fog covered the 360° the summit area. just about 25 minutes from the ranch, finally we reached Mt. 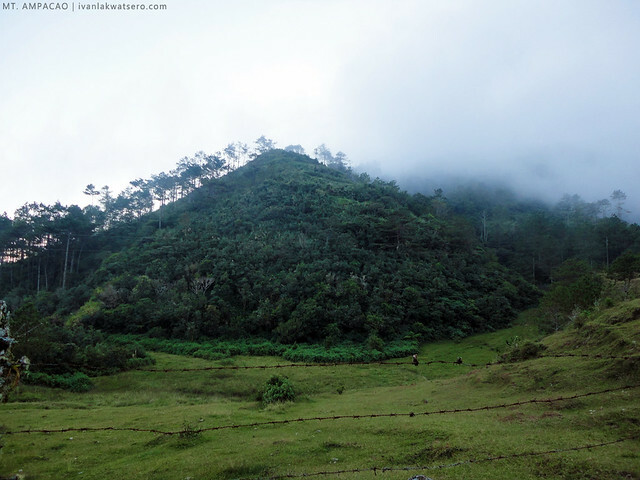 Ampacao Summit. Wala nga lang view. 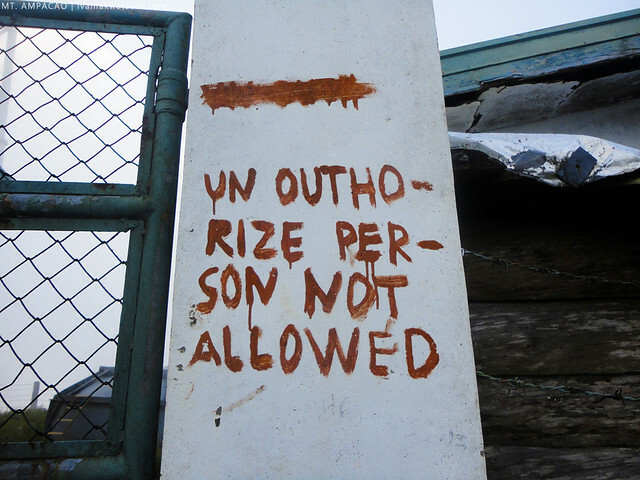 bawal daw ang un outhorize person! yey to my 29th mountain. 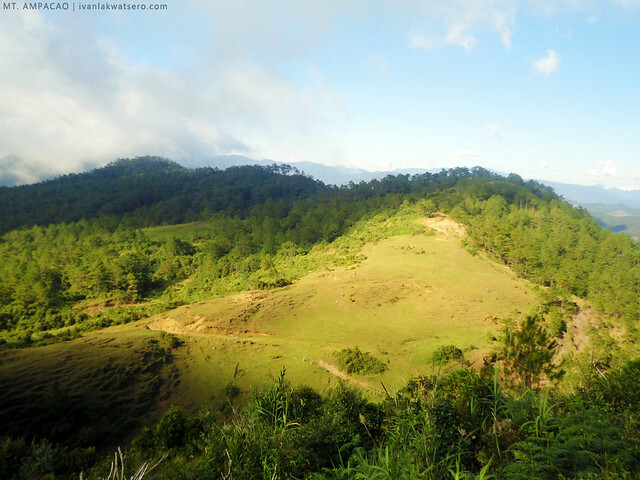 Where's the trail to Lake Danum? My original plan was to traverse Mt. Ampacao from Ambasing to Lake Danum. I just want to witness the famous sunset by the lake. 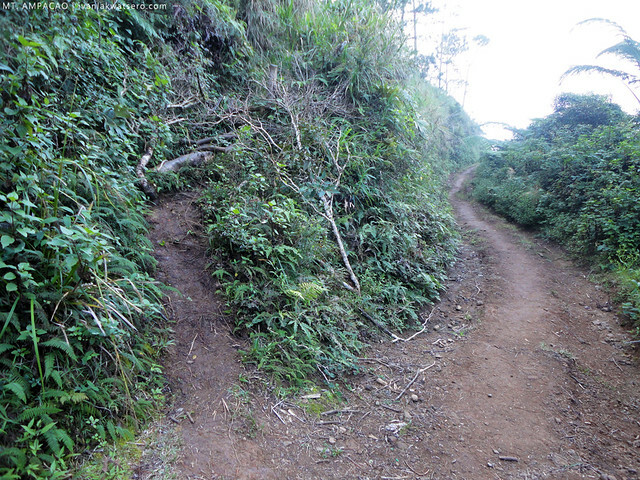 But unfortunately, we never found the traverse trail going down to Lake Danum. We entered several trails which just led us to wilderness. Halos 2 hour kami nag-trial-and-error sa bawat trail na nakita namin, pero hndi ko talaga nakita ang tamang daan. I gave up only when I realized that we can no longer catch the sunset. 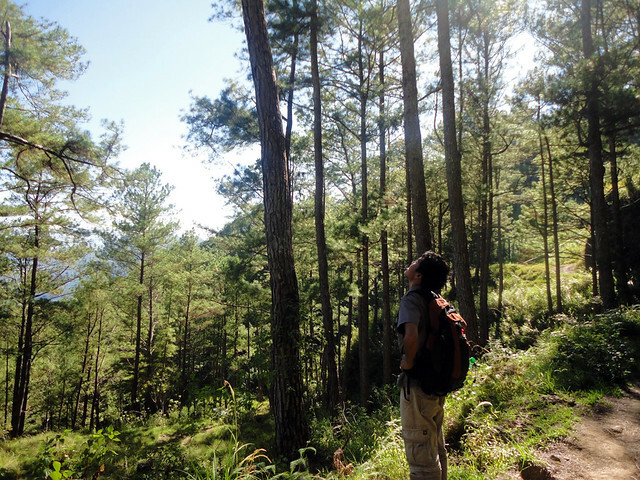 Therefore we just trekked back to Ambasing then back to Sagada. 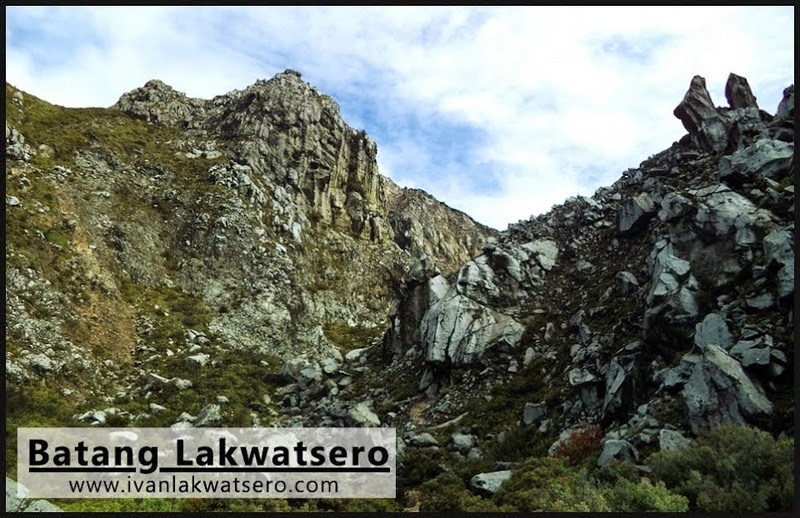 It would've been a traverse only if we found the trail to Lake Danum. We had plenty of time but was just wasted in the search for the right trail. Oh well. To my readers who really want to traverse this mountain, just get a guide. After completing this hike, we headed straight to Lemon Pie House to fill our famished tummies. Congrats to my friend Roan for summitting her second mountain. yeeha! hanga ako sayo sir.. 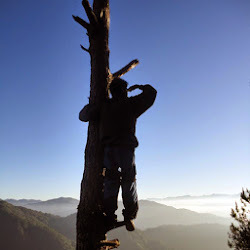 Idol kita as an exploring climber.. I always read your blogs as my guide.. sana sir if you can share the itinerary, it would be helpful din po.. many thanks.. P.s. Ive shared my appreciation sayo sa blogsite ko =) God bless you more! Your site are now link to my page directory. 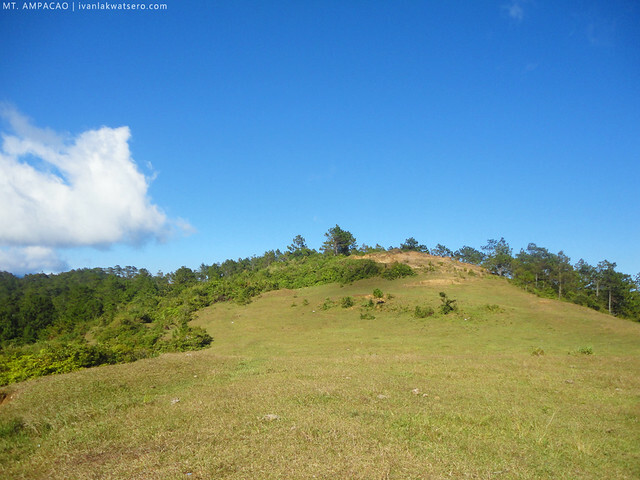 Mountaineer enthusiasts will be glad to review about mt. 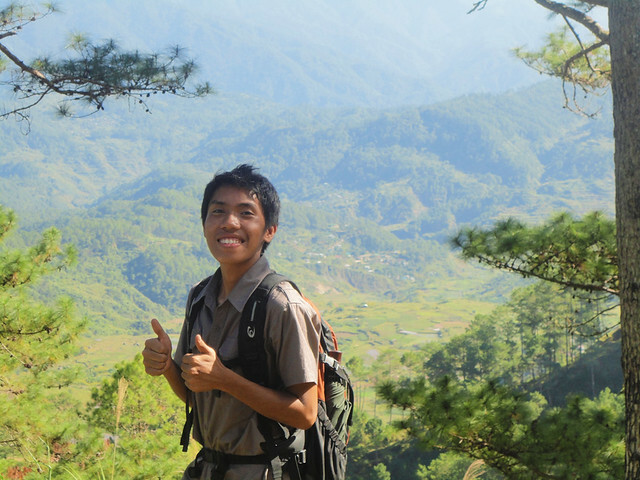 Ampacao adventure in sagada.